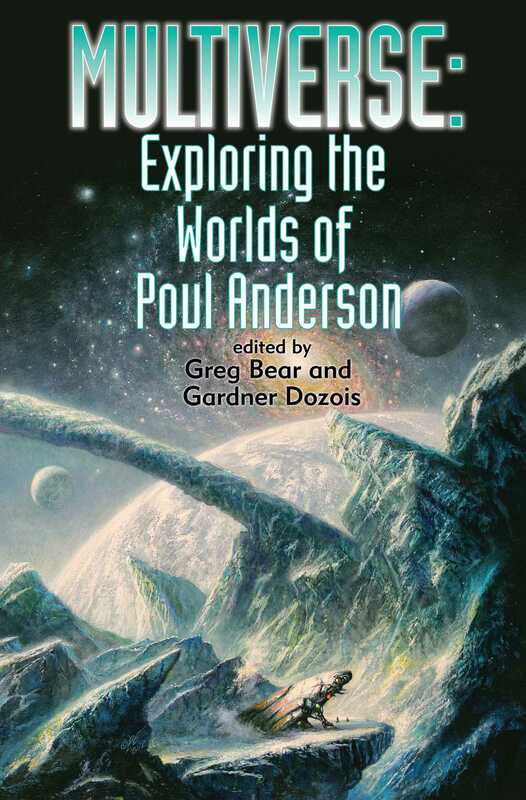 A tribute to the late great science fiction icon Poul Anderson, and a wonderful collection of stories by some of the genres top writers! Authors include Tad Williams, Terry Brooks, Greg Bear, Raymond Feist, Larry Niven, and Eric Flint. Poul Anderson was one of the seminal figures of 20th century science fiction. Named a Grand Master by the SFWA in 1997, he produced an enormous body of stand-alone novels (Brain Wave, Tau Zero) and series fiction (Time Patrol, the Dominic Flandry books) and was equally at home in the fields of heroic fantasy and hard SF. He was a meticulous craftsman and a gifted storyteller, and the impact of his finest work continues, undiminished, to this day. The fictional contributions comprise a kaleidoscopic array of imaginative responses to Anderson's many and varied fictional worlds. A few of the highlights include Nancy Kress's "Outmoded Things" and Terry Brooks' "The Fey of Cloudmoor," stories inspired by the Hugo Award-winning "The Queen of Air and Darkness"; a pair of truly wonderful Time Patrol stories ("A Slip in Time" by S. M. Stirling and "Christmas in Gondwanaland" by Robert Silverberg); Raymond E. Feist's Dominic Flandry adventure, "A Candle"; and a pair of very different homages to the classic fantasy novel, Three Hearts and Three Lions: "The Man Who Came Late" by Harry Turtledove and "Three Lilies and Three Leopards (And a Participation Ribbon in Science)" by Tad Williams. These stories, together with singular contributions by such significant figures as Larry Niven, Gregory Benford, and Eric Flint, add up to a memorable, highly personal anthology that lives up to the standards set by the late—and indisputably great—Poul Anderson.